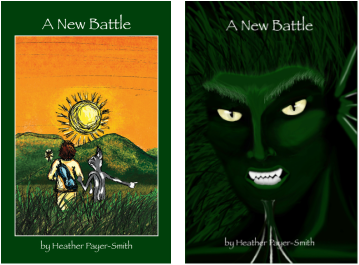 The book offers two story lines: It begins and ends with Noah's struggle in the real world as he faces bullying, deals with the loss of his father and the challenges of being poor. Though not the main focus of the greater story, the book touches upon the bullying epidemic thousands of kids face each and every day in schools (as well as the consequences of making poor choices when dealing with this issue). This is a very important topic that kids need to understand. The Nameless World offers parents and teachers the opportunity to open discussion on this subject while exploring Noah's situation. Then, through Noah's adventures in the nameless world, the book dives deeper into environmental awareness/concern as Noah discovers the importance of standing up for what is right as he witnesses first hand the delicate balance between man and nature. The core plot has a very relevant theme of environmental awareness and ecological preservation - something that can have a positive impact on today’s "go green" efforts. It also promotes respect and appreciation for animals. It is so important for kids today to recognize that we have a responsibility to preserve and protect nature and natural resources. This book conveys this message through a memorable story to which kids can relate. Both issues presented in the book are very important areas that kids need to gain insight and understanding to make better decisions for their own actions and choices. While The Nameless World is very much about Noah's exciting adventures, the story is presented in a way that kids can learn a little about themselves and the world around them while reading.